Fall Harvest Baskets Available throughout November! 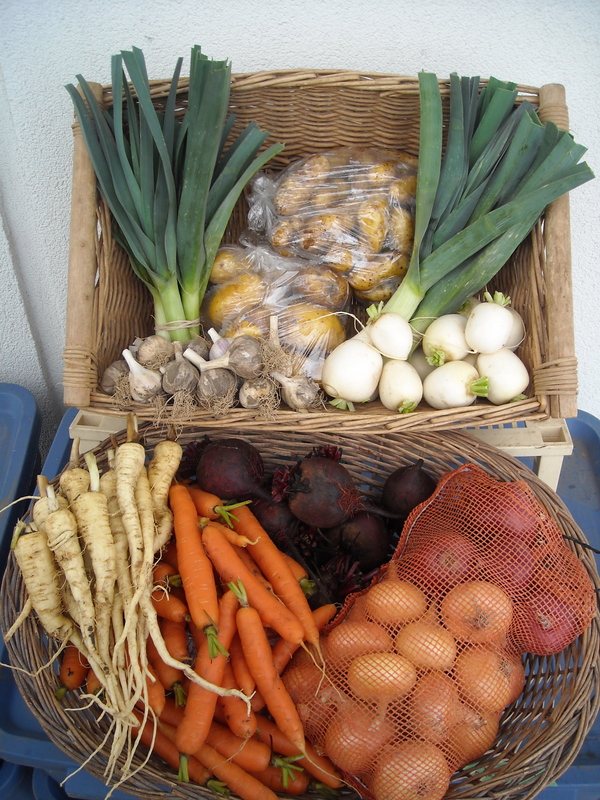 We have had a great first full season here at Fiddle Foot Farm and are now enjoying the fall bounty of vegetables. We still plan on offering a Winter CSA in future years, but this requires a large root cellar, which we were not able to construct this season. As a result, we will not be able to store vegetables into the winter months. If you are feeling the natural urge at this time of year to stow away food for the fall and winter and your local Farmers’ Market has ended, you are in luck! Here at Fiddle Foot Farm, there are still plenty of delicious vegetables growing in our gardens. We just need to find a way of getting these vegetables to you! Our Fall Harvest Baskets is a way to extend the market season both for you and for us. 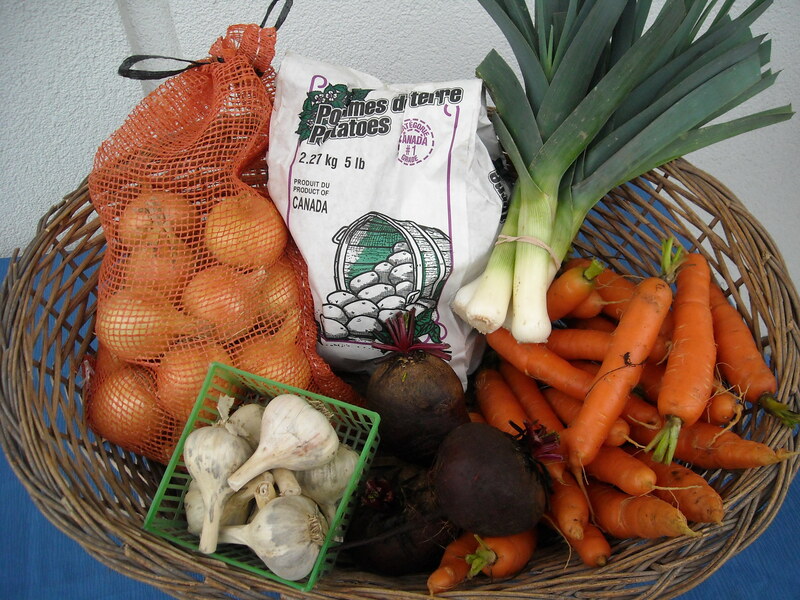 Fall Harvest Baskets are different from our CSA program in that you can order just one if that is all that you need. There is no commitment to pick up a basket each week. Place an order for a basket for whenever you would like one. WHEN? Baskets will be available on Tuesdays and Saturdays starting Oct 27th until the supply runs out! Orders must be placed at least two days before pick-up, but the sooner the better to give us a sense of demand. We will send this email weekly as a reminder. In addition to (or instead of) a Fall Harvest Basket, you can place an order for any individual items on the list below. Please note, we are asking that orders be made in 5 lb. increments. Should you have any questions or need for further clarification, please be in touch with us by email (fiddlefootfarm@gmail.com) or by phone (519-925-3225). If you know anyone who might be interested in this opportunity, please let them know.